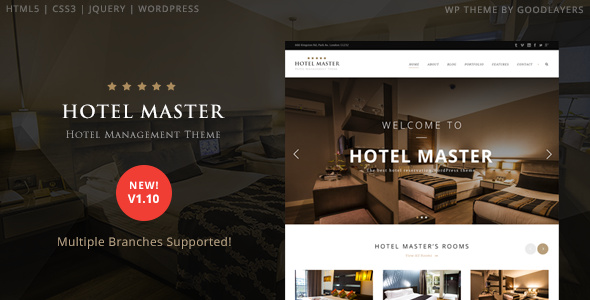 Hotel Master is the best hotel, resort, room reservation WordPress theme. It comes with the best room booking system. The system allows users to browse available rooms easily. In the middle of booking process, user can also change the parameter or re-choose the room smoothly with ajax feature so no page refreshing!